How can you move someone to donate their hard-earned money to strangers? The answer: Community and Lasting Legacies. 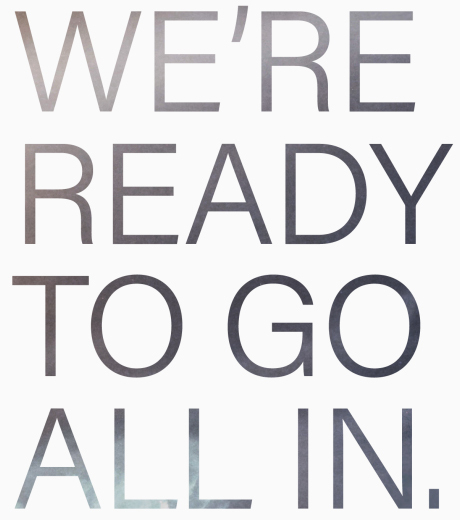 We, at Ignite XDS, partnered with the Community Foundation for Livingston County as a commitment to our community, to help brand the CFLC message, increase awareness, and most importantly, help foster future growth in our own backyard. Partnering with our friends and neighbors to do good in our community just feels right. The Community Foundation for Livingston County, a permanent community endowment and affiliate of the Community Foundation for Southeast Michigan (CFSEM), is committed to improving the well-being and quality of life of local citizens by providing funding for sustainable education, arts, technology, and deserving programs. This funding comes from donations and endowments by community members that wish to leave a legacy in honor of what is truly important to them. Donors can benefit knowing their participation will have long-term impacts, influencing future generations. Through our conversations with the board members, it was clear that the organization’s message needed to get to the community. It was our priority to brand a distinguished message that encompassed the donor opportunity, and how by partnering with the CFLC, your money will remain within Livingston County. By showing prospects the real-life impact of the CFLC's funding within the community, we’re able to turn “strangers” into fellow community members, neighbors, and friends. 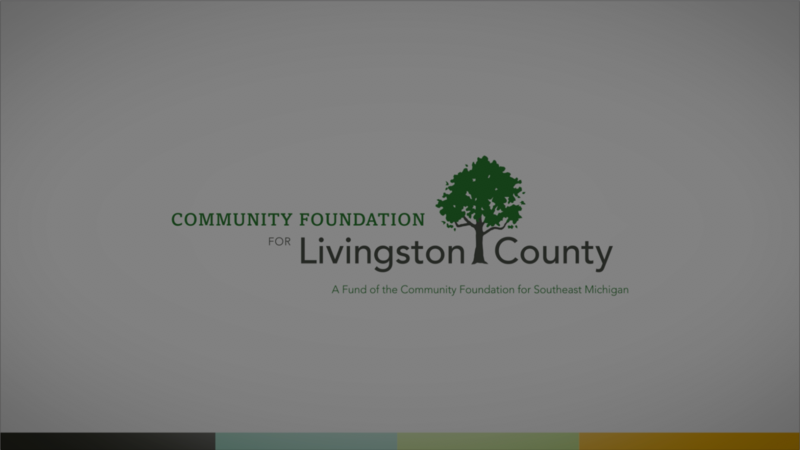 As an affiliate of the Community Foundation for Southeast Michigan, it was important that we developed a brand for the Community Foundation of Livingston County that could stand alongside the CFSEM, but that would also stand apart, to signify the organization’s independence and roots in Livingston County. Drawing inspiration and feedback from the desires and stories of the board members, our designers infused the brand with nature-based elements and colors that foster the message of growth and encompass the spirit of Livingston County. But distinguishing their brand and message encompassed much more than just the “look”. Throughout our partnership, we continue to work closely with the board members to evolve communication, publicize their mission statement through real-life stores, and translate the organization’s motivations into a brand that inspires action in those that have the ability to make an impact on our community through their donation or endowment. With such a powerful message to share with the community, and the opportunity to provide for future generations through this partnership, our mission was to develop a website that served three purposes: 1) Inspire residents and potential donors with how they can make a positive impact within their community, 2) Provide them with all the resources they would need to make a donation or start a fund, and 3) Make conversions simple with strong calls-to-action and easy application forms. To accomplish this, we developed a clean, responsive, and easy-to-navigate website, filled with local imagery and inspiring video content to appeal to Livingston County natives. While maintaining the clean design, we were still able to incorporate comprehensive donation details and information relative to individuals, businesses, and CPAs or financial advisors who can use the Foundation as a means to procure tax and estate benefits for their clients. The Ignite XDS team has helped us tell the story of the Community Foundation for Livingston County. They have taken a relatively nebulous concept of a community foundation and a permanent endowment and broke it down to the simplest elements of people, place, and impact. The design, imagery, photography and video work has been wonderful and their service and professionalism are top notch. Thank you, Ignite XDS for helping us to tell our story. By working directly with board members and fund recipients, our content team had the opportunity to develop a brand voice that inspires empathy and ignites the imagination of potential donors by appealing to emotions that elicit a connection or attachment to the organization, and ultimately community. However, it was also important to remember that while the language was to be heartfelt and empowering, it also needed to remain concise and clear with strong calls-to-action. The content on CFLivingston.org highlights the opportunity for potential donors to leave a legacy through their partnership by focusing on the success and impact of past grants, the history of the Foundation, donation guidelines, and the CFLC vision for the future. In relation to SEO, the top priority was local search performance, which paired well with the focus on strong community content. Again, how can you move someone to donate their hard-earned money to strangers? While the success stories and inspiring content can stand on their own, there’s no better way to communicate the Foundation’s heartfelt message than through video. 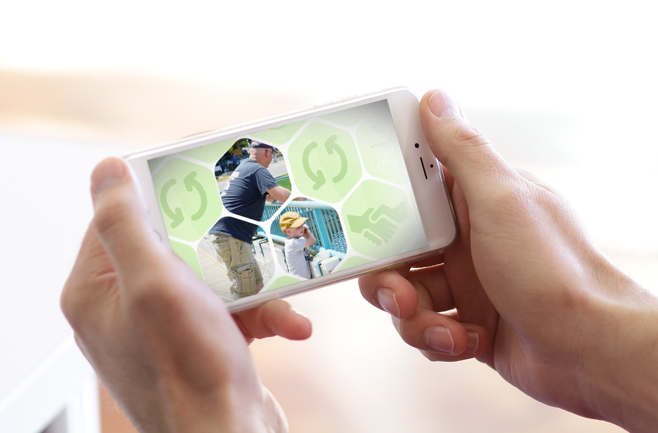 From the start, we knew that video content was going to be critical in sharing the CFLC message with the community because it has the ability to connect the audience with the emotional aspect of involvement, the personal interaction with the faces of the foundation, and a sense of what impact the foundation has made within the community thus far. To encompass the various aspects of the Community Foundation into a brief video series, our video production team focused on sparking inspiration emotionally and locally by showcasing the sustaining positive impact of the Community Foundation’s history and how they can provide value in future partnerships. Check out the series here.